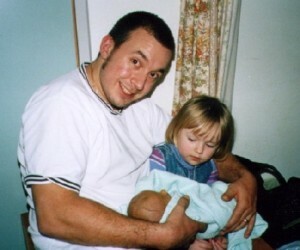 Peter and Sharon had a beautiful three-year-old daughter Ella when they decided to try to add to their family. She got pregnant the first month of trying to conceive, as she also had with Ella. Things were proceeding down the same path, so they assumed this pregnancy would be as straight forward as the first. 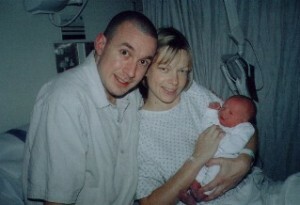 Ella referred to the baby as ‘peanut’ from day one. On Friday, December 13th she was overdue and was out shopping with Peter and her mom. She began to feel very ill, and went in to the hospital to be checked. During that time they discovered that Nicholas’ heartbeat was dropping from 153 beats per min to less than 60 beats. Although they kept her there, they were “busy” and wouldn’t induce her even though his heart had dropped four more times. On the following Monday morning they told her to go home, but she refused so reluctantly they induced her. “My pregnancy with Lucas with very different from Nicholas. I didn’t accept that I was actually going to be bringing a baby home until about one week before my section date. I just blocked it all out and carried on with normal day to day life. 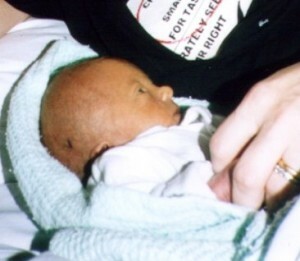 Many people have made comments to me about the fact I conceived four months after losing Nicholas. To me it was the right choice and despite many of the comments – I haven’t forgotten Nicholas and I never will. He will always be my eldest son and loved. Lucas has just put something extra special back into our lives and hopefully now we can start to move forwards. The journey with Lucas was very very hard (as I hadn’t had any testing for Edwards – just relying on scans) but it was a journey which, in our opinion, was well worth it”.